Well, the Exhibition Hall here at the RIO Hotel & Casino in Las Vegas is a hubbub of activity! – All in preparation to host literally hundreds of ultra savvy RV Dealers to an educational extravaganza over the next couple of days. Our phone lines back at the office and our Inboxes are getting bombarded with inquiries from curious RV Dealers all across N. America. And remember, you DO NOT have to BE at the Show to enter to WIN $1.5 M in RV Sales. 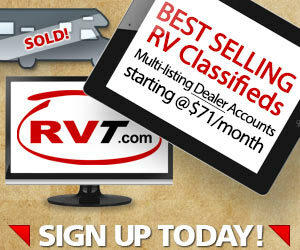 Every RV Dealer (or Broker) is eligible. 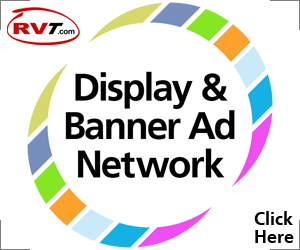 All you have to do is visit RVT.com/10free and request that we GIVE YOU 10 Free Leads … and you’re in! One lucky Dealer is going to enjoy up to 600 leads or up to 5 years of powerful online Classified Advertising – absolutely free! This is great training stuff. I have not seen my 1.5 million yet. Did in miss something? Could I have these news letters sent to my General Sales Manager Joe? Absolutely, Earl. And, thanks for asking. I have added Joe to the list. Please feel free to let us know of any other members of your Sales Team you might want to subscribe to this “How-To-Increase-RV-Sales” blog as well. Congratulations! 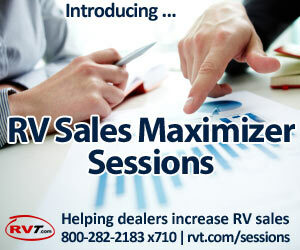 You have entered to WIN the $1.5 Million in potential Gross RV Sales by requesting your 10 Free Leads at RVT.com/10free. Stay tuned about who WINS the $1.5 Million in potential Gross RV Sales. The draw will be held on the final day of the Louisville show, Nov. 29, 2012.